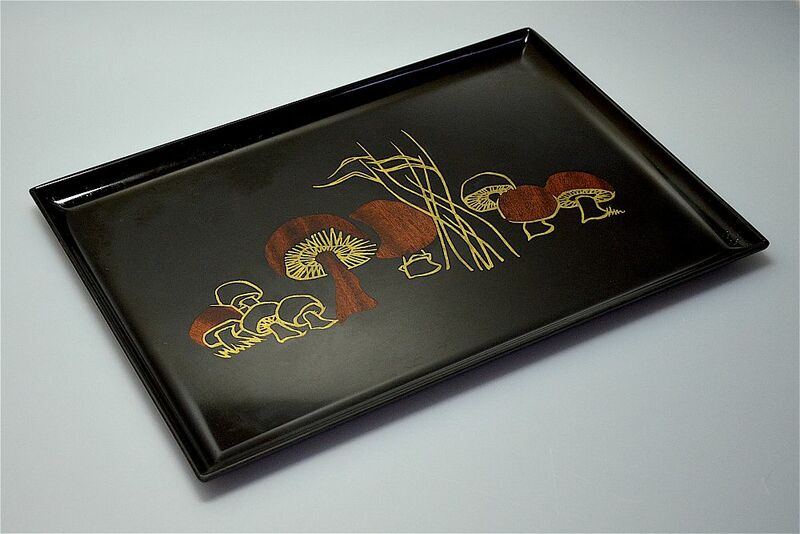 This fabulous tray was made by the American company Couroc. It is made of black phenolic with an inlaid pattern of mushrooms in teak & gilt metal. It has the manufacturer's label on the rear. 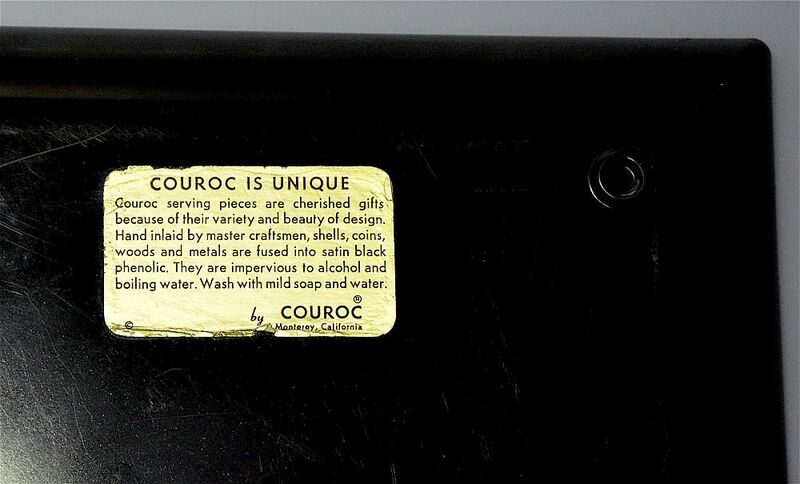 Couroc was established by Guthrie Courvoisier, a gallery owner, in 1948 in Monterey, California and continued until its closure in the early 1990s changing hand several times after Courvoisier’s death in the 1970s. Courvoisier & his wife put the experience that he had gained whilst working with plastics in the war effort to good use and eventually created a formula of phenolic resin that was durable and alcohol & flame resistant. Initially he employed many skilled artisans who incorporated brass and other metals, seashells coral & seaweed and incorporated them into the designs of the trays. They also used things like screws safety pins & paperclips.